Two long-time members of the Poplar Council of Canada, Annie DesRochers and Bill Schroeder, have been honoured recently for their professional and scientific accomplishments. 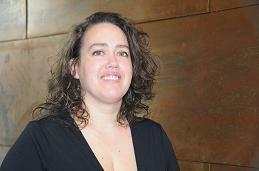 Annie DesRochers, Vice-chair East of the Poplar Council of Canada, and a professor at the forest research institute of the Université du Québec en Abitibi-Témiscamingue (UQAT) has received high recognition by being named a member of the Circle of Excellence of the Université du Québec (UQ). Holder of a doctorate in Forest Biology and Management, Annie has become recognized at the international level through her innovative research work. She contributed particularly to the development of a complex of laboratories and greenhouses - a total investment of $3.2 million - on UQAT's Amos campus. Annie was also the instigator and organizing committee chair for the 6th International Symposium on Root Development: Adventitious, Lateral and Primary Roots held on the Amos campus of UQAT in August 2011. Recognized in her field, she was named to the Cercle des ambassadeurs d'Amos-région and elected 'Person of the Year' by the Chamber of Commerce of the Amos area. Apart from her professional activities, Annie is actively involved in a number of committees and causes dear to her heart, such as Marathon SNO, a sports event against infant obesity, and the Centre de santé Les Eskers where, since 2007, she has held an administrative position on the centre's Board. At the Provincial level, she has sat on the Assemblée des gouverneurs of the UQ network for more than a year. By her way of being and her accomplishments, Annie DesRochers is a symbol of perseverance and pushing oneself to the limits. Annie has been a member of the Poplar Council for more than 10 years, for much of that time a member of the Board, on which she is currently Vice-Chair East. She organized a very successful Poplar Council workshop, annual meeting and field tour in the Abitibi-Témiscamingue region in 2003. 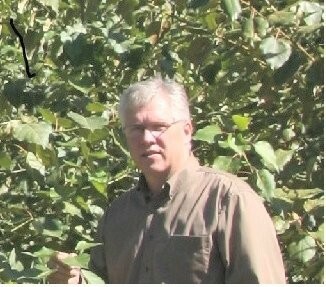 Bill Schroeder, Co-chair of the Poplar Council of Canada's Genetics and Breeding Working Group, and a Research Manager at the Agroforestry Development Centre of Agriculture and Agri-Food Canada (AAFC) at Indian Head, Saskatchewan, has recently been presented with the Gold Harvest Award of AAFC. The 2012 Gold Harvest Award honours exceptional contributions made by AAFC employees through the excellence of the work they perform and the positive results they achieve. Bill's leadership of agroforestry research has allowed AAFC to successfully address questions surrounding improved tree performance and health within the agricultural landscape. During his 30 plus years' career, Bill has been the lead in developing over 30 varieties and cultivars of trees and shrubs for landowners in western Canada. Understanding the needs of the client and environment in which we live has allows Bill to continually bring forward new hybrid poplar genotypes to meet the needs of rural landowners and the poplar community (researchers, breeders and industry partners). He has also undertaken research and field trials with willows in Prince Edward Island as well as in western Canada. In addition, Bill has acted as an international technical advisor for the Food and Agriculture Organization (FAO) of the United Nations., and has participated in genetic collections and research in many countries including China, Sweden, Denmark, Chile, Russia and the United States. Bill has been a member of the Poplar Council for many years, including being a member of the Board. He currently is Co-chair of the PCC Genetics and Breeding Working Group. He was the local organizer for Poplar Council annual meetings in Regina in 2001 and 2009, both of which included interesting field visits to Indian Head.